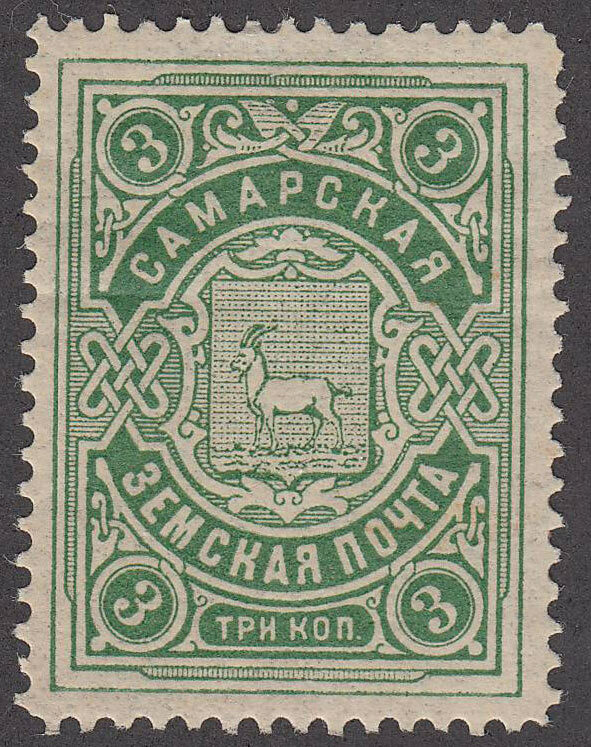 Samara (Samara Guberniya) zemstvo stamps. The postage stamp was issued in 1908-1913 (few printing orders) by Saint-Petersburg’s the Expedition of Storing State Papers (Экспедиция заготовления государственных бумаг or ЭЗГБ). Ardatov type design. The total print run was 3488 sheets containing 87200 stamps (5×5 sheets).